I like the plastic dog crates. The vari kennels, or pet-mate type. I don't like the Ferrari crates, they have way too many grooves and holes to wash out. and can get their teeth caught, then they can't open their mouth wide enough to get loose. I have heard of dogs dying this way! 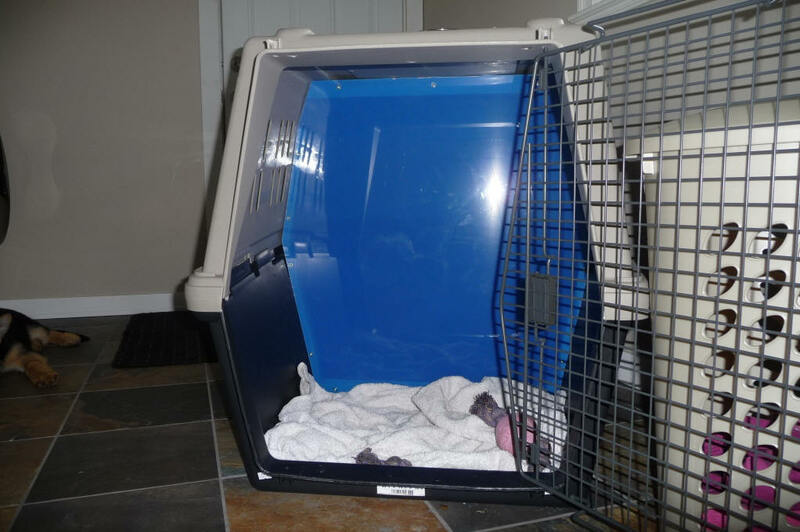 The size of the plastic crate should be small in the beginning, approximately 28x21x22. For a full size German shepherd I use the extra large one, 40x27x30. you don't have to buy 2. MAKE SURE IT IS NOT TOO WARM OR COLD TO TAKE YOUR PUPPY IN THE CAR ...VERY IMPORTANT!!!!!!! or some other great treat.